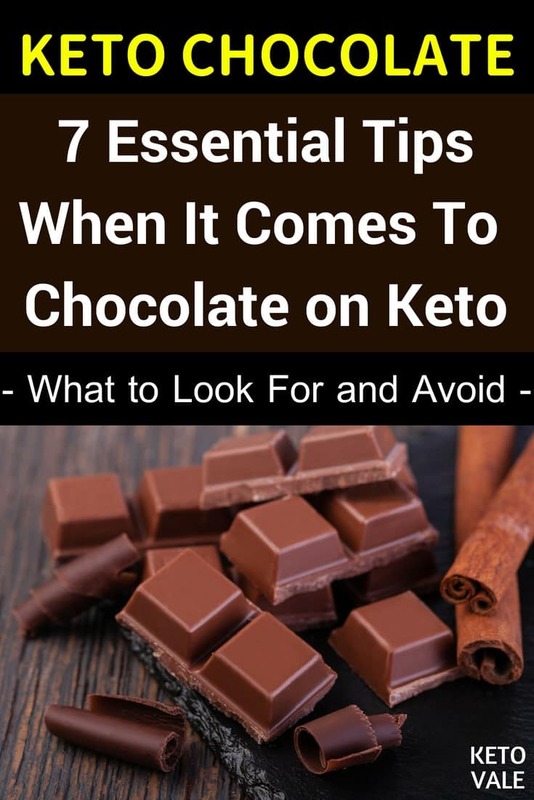 You’ve started your keto journey a while ago, and are now wondering whether chocolate is one of these “dangerous foods” to be avoided at all costs, or whether you could actually enjoy it from time to time? Or you’re just starting out but want to know whether you risk undoing your progress if you have some dark chocolate? Or you’re curious about chocolate’s health effects? We’ve got the answers to all of these questions, and more. Chocolate is made from dried, roasted and ground cocoa beans, which are then mixed with different ingredients, such as sugar, milk, vanilla, soy lecithin, and the like. The cocoa content of the chocolate you’re buying (for example, 85%) corresponds to the percentage of cocoa solids; the rest is for the remaining ingredients. Dark chocolate contains no milk, while milk chocolate contains lots of sugar, quite a lot of milk and a small amount of actual cocoa. White chocolate, on the other hand, contains cocoa butter, milk and sugar but is stripped from the other non-fat cocoa solids and the benefits that come from them. A word of caution regarding soy lecithin: it is often added to chocolate, where it is used as an emulsifier. While many people do not have adverse reactions from it, if you are avoiding soy altogether, always check the label when buying chocolate. Nowadays more and more chocolate manufacturers offer lecithin-free chocolate. 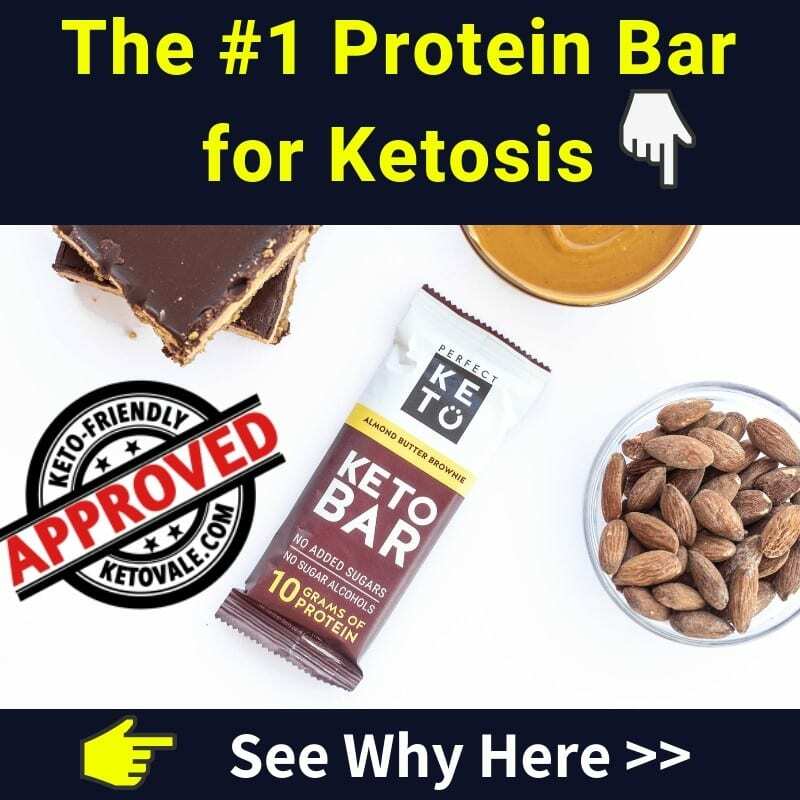 Can You Eat Chocolate While Doing Keto? The darker the chocolate, the better. Why? Because the higher the percentage, the less net carbs it will contain, and the more benefits you’ll get from the cocoa. Choose at least 70% or if you can, go for 85% or above. Yes, that’s the good news – cocoa has a number of health benefits, which we’ll discuss below. The carb content will vary from brand to brand, so always check the label when buying. Most 85%-99% chocolates contain around 15 to 20 g net carbs per 100 g, which leaves you with around 2 g per 10 g square. Not too bad. Make sure there’s no soy, artificial sweeteners or sugar added in the chocolate. If you buy sweetened chocolate, make sure it’s sweetened with stevia, erythritol, or any other keto-approved sweeteners. #3. Avoid milk chocolate or white chocolate. Both will be ridiculously high in carbs (usually around 40-50 g net carbs per 100 g), which makes them really not keto-friendly. 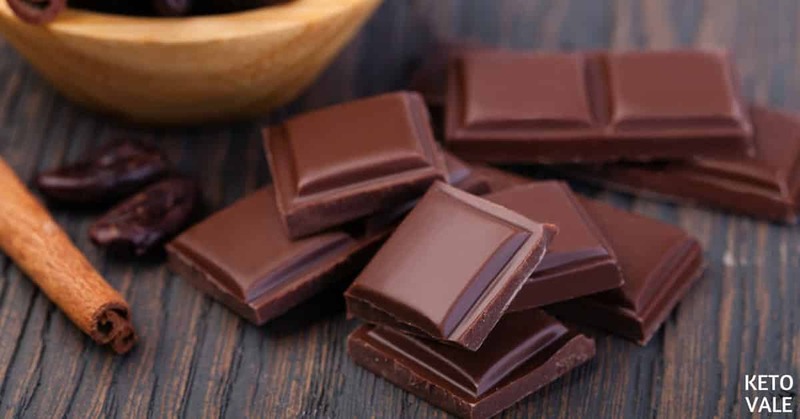 Additionally, they contain too much milk and sugar and too little cocoa mass to have any of the health benefits of dark chocolate, and are much more likely to provoke cravings. This means you should consume it in moderation. Most chocolate contains between 500 to 600 kcal per 100 g, sometimes even more. Additionally, its carb content makes it perfectly okay when consuming a small piece, but less than ideal if you eat half a bar. Save your carbs for veggies – you’ll need them there. Dark chocolate is rather bitter and feels much more satisfying than its overly sweet cousin, milk chocolate, which means it’s much easier to not overindulge. Or at least until you switch to maintenance calories. The higher the cocoa content, the less sweet the chocolate will be, and the less likely you will be to eat too much of it. However, if you still find it difficult to limit yourself to only a piece, just don’t keep it at home. #6. 99% or 100% chocolate exists! Alternatively, you might want to experiment with some 99% or 100% chocolate – yes, 100% chocolate exists and it is awesome. It’s not sweet at all, as it will have no sugar or sweeteners, so you’ll only be left with the natural flavours of the cocoa beans. These are incredibly complex and vary a lot, based on the type of cocoa bean that was used and on the production process – some are quite bitter, some are earthier, some are fruity and acidic. It takes some time to get used to it, but once you do, you’ll love it. The darker the chocolate, the more caffeine it will contain. Dark chocolate usually contains 17.5 to 70 mg of caffeine per 100 g, which is an insignificant amount, compared to actual coffee (which contains between 65 and 150 mg of caffeine per cup), but if you’re particularly sensitive to it, you might want to consume chocolate earlier in the day. Now, let’s look into the health benefits of chocolate. Chocolate contains a lot of good fats – monounsaturated and saturated fat. Saturated fat has actually been shown to not be directly associated with heart disease, so there is no need to fear it. The type that is contained in chocolate is stearic acid, which has no negative impact on LDL (the “bad”) cholesterol (1). Actually, chocolate consumption has even been linked to an improvement in cardiovascular health. This is mostly because of its high flavonoids content, which makes it an anti-inflammatory food that helps the body manage oxidative stress (2, 3). Dark chocolate, which is rich in flavanols, has another important benefit – it helps protect against harmful UV-radiation (4). Additionally, chocolate contains lots of fiber, which is excellent news for your digestive health. 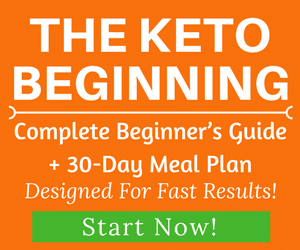 While many people discover that they don’t need a huge amount of fiber on keto, it’s still a good idea to get some. The fiber content will vary from brand to brand, but in most cases, it will be between 10 to 20 g per 100 g.
Moreover, chocolate contains a good amount of magnesium, iron, copper, potassium, selenium, and more. Unsweetened cocoa powder that only contains cocoa? You’re good to go. By all means, avoid any instant cocoa drinks or sweetened cocoa powders – these have way too much sugar and very little cocoa. However, you can definitely use unsweetened cocoa powder to make keto desserts, such as brownies, truffles, mousses, and the like. 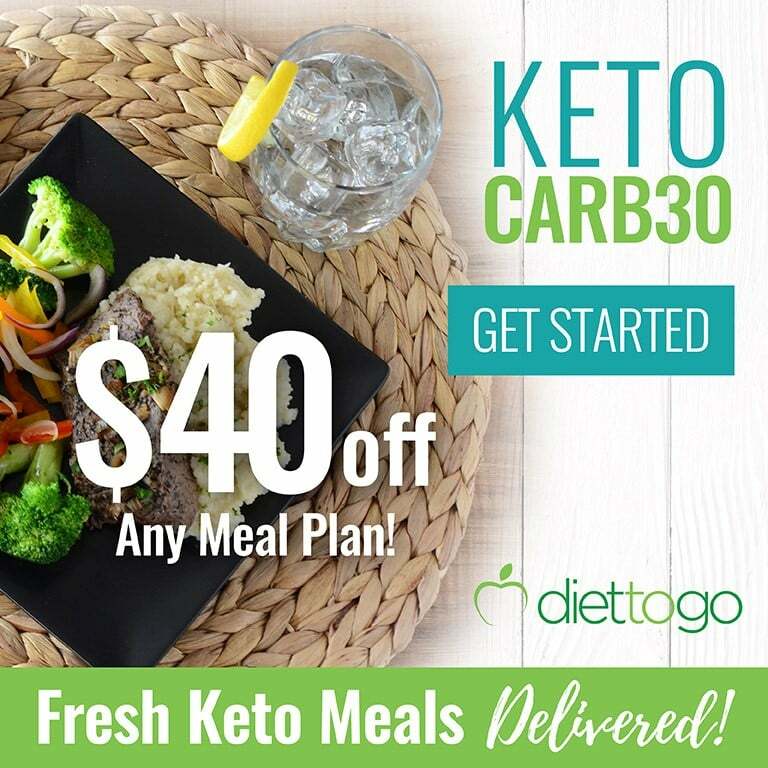 If you need some inspiration, check out our recipes below – you’ll find plenty of super easy & tasty keto desserts there. You can also use it to make some hot chocolate – substitute regular milk for almond or coconut milk (coconut milk is quite dense on its own, so mix it with water), add a little bit of stevia, and you’ll be wondering why you haven’t tried this before. Raw chocolate still undergoes some processing to make it edible, so it’s not completely raw. However, the less processed it is, the more flavanols it usually contains. Raw chocolate is more difficult to find and is usually rather expensive, but if you have the chance to try it – go for it! There aren’t many keto-friendly sweets that you can find in the store. So far, we’ve only found these chocolate products from Lily’s Sweets brand that are the closest to being keto in terms of ingredients. Beside these common flavors, there are also Lily’s 70% Dark Chocolate Blood Orange and Lily’s 70% Extra Dark Salted Almond flavors. 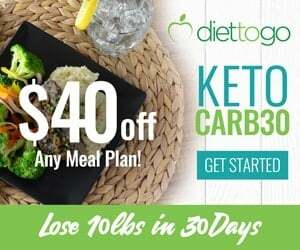 If you are concerned about store-bought products, simply make your own keto version from home using the following recipes below. How to: Simply melt butter, coconut oil and chocolate and stir well. Add heavy cream, sweetener and vanilla extract in and mix well. Sprinkle a tiny bit of sea salt in the chocolate mold then pour the chocolate mixture in and finally sprinkle a little bit more sea salt on top. Bring to the freezer and freeze for an hour and enjoy! 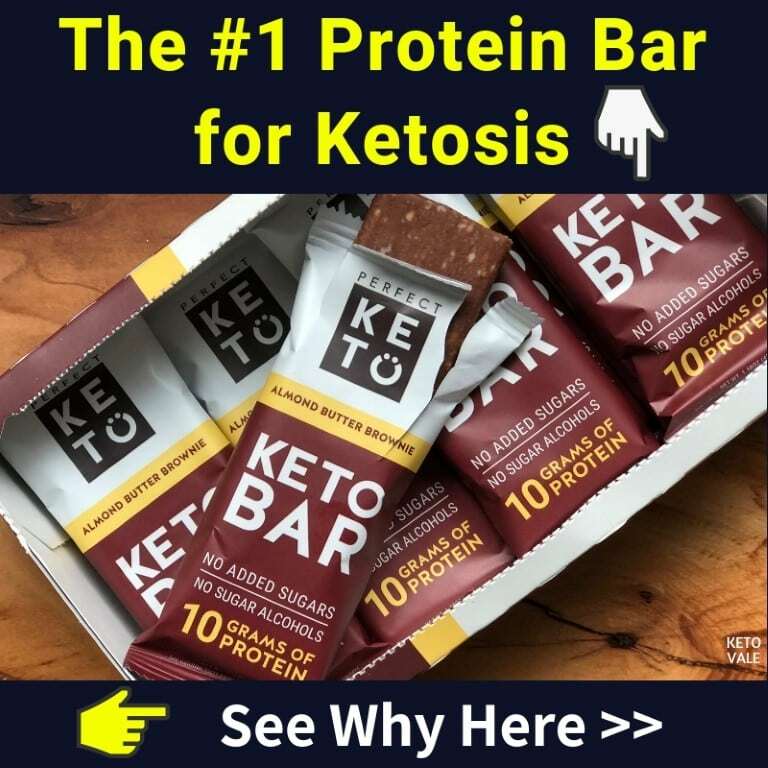 If a piece of dark chocolate will make keto easier for you, and if you track it and make place for it in your daily macros, there’s no reason to not have it. 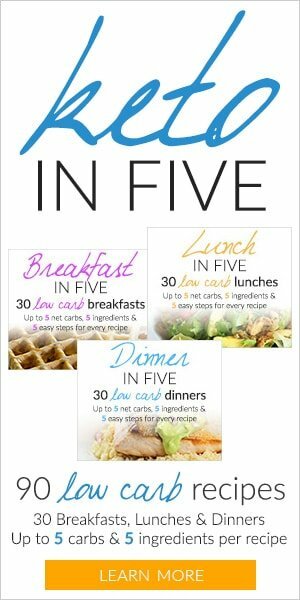 In order to be successful, you need to make lifestyle changes, and not just diet for a couple of weeks or months and go back to your old eating habits as soon as you lose the weight. Dark chocolate (85% or higher) is a much better alternative to traditional high-carb desserts, there’s no doubt about that. If you miss chocolate and need something sweet from time to time, there’s nothing wrong with consuming it in moderation. Just remember the keyword here: moderation. Enjoy this guide? Pin to save to Pinterest for later!